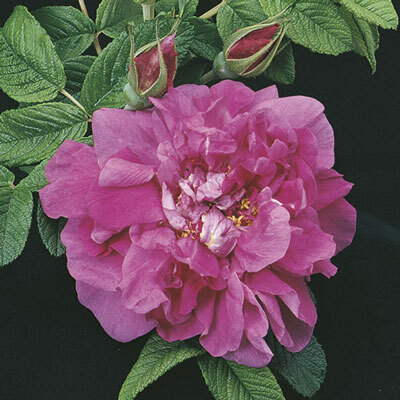 All the good, rugged features of the Rugosa species are combined with big shapely buds and richly-colored fragrant flowers in this old hardy favorite. Great for barrier plantings in cold climates. Red hips in fall. Avoid chemical sprays. Disease free. Only available own-root.